Not a day goes by without another gut-wrenching tale of bullying making headlines. 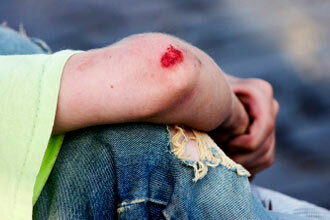 Schoolyards erupt in violence. Social-media sites turn into cyber lynch mobs. Kids commit suicide after enduring months of abuse. Despite all the media attention, parents often remain in the dark about what actions to take when it happens to their children — or when their children bully others. 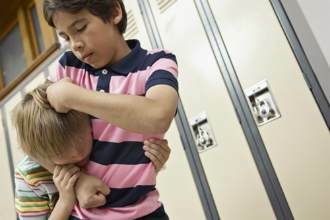 Despite media depictions from the 80s (Biff from Back to the Future), 90s (Nelson from The Simpsons), and even now (Dave Karofsky from Glee), bullies aren’t necessarily large kids who pack a powerful punch. “Physical size is really inconsequential when it comes to this issue,” Mayer says. Bullying is often about power, and a child who bullies is often trying to counteract something that’s going wrong (real or perceived) in his own life. “In fact, there’s a strong case to be made that a bully is typically smaller,” Mayer says, adding that the aggression could be inspired by the bully’s lack of confidence and feelings of physical inadequacy. • Consider the consequences. 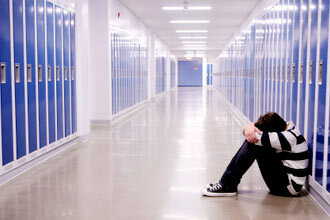 Does your child’s school have a zero-tolerance policy? If so, your child could be punished (even suspended) for self-defense. This consequence might seem unfair to children and parents alike – and, depending on how it is implemented at your child’s school, may be something you should consider discussing with school administrators. 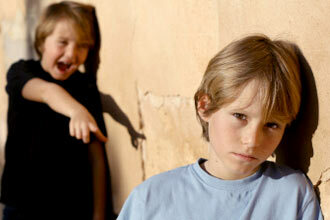 Too often, Williams says he sees parents who dismiss their children’s reports of being teased and taunted. “You’d be surprised at how adults respond. They tell their kids to stop tattling or stop whining.” Teachers and other school leaders have also dismissed the problem, says Williams, often with tragic results. Bullying has become a national issue, so much so that 47 states, including Massachusetts and New York, have passed anti-bully laws that define bullying and require schools to act when it’s reported. 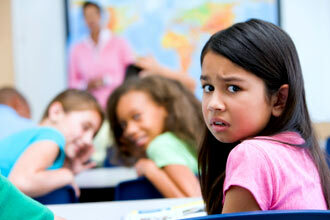 Parents should check that their kids’ school has an anti-bully policy and system in place. If you’re unsure what your school’s policy is, talk with the administration or check the school’s website. Let the school know that thesafety of your child is important to you.